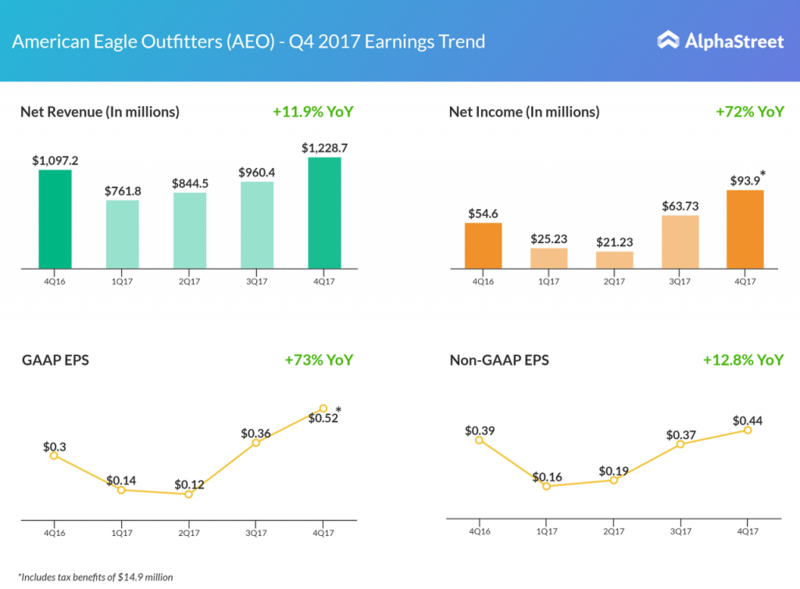 With same-store sales spiking 8% from a year ago, specialty retailer American Eagle’s (AEO) fourth-quarter sales improved 12% to $1.23 billion. American Eagle saw strong sales from retail stores and on the digital front. The retailer hiked its dividends by 10% to $0.1375 per share. 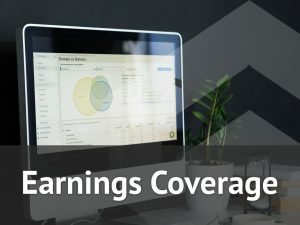 GAAP earnings came in at $93.9 million or $0.52 per share, which includes tax benefit of $14.9 million or $0.08 per share due to the recent tax reforms. 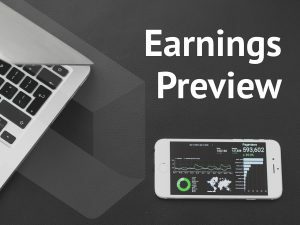 On an adjusted basis, earnings increased 13% to $0.44 per share. Margins contracted by 80 basis points due to higher marketing costs. American Eagle ended fiscal 2017 with 1,047 stores and licensed 214 stores globally. For the first quarter of 2018, the specialty retailer expects its EPS to be in the range of $0.20 to $0.22, excluding impairment and restructuring costs.